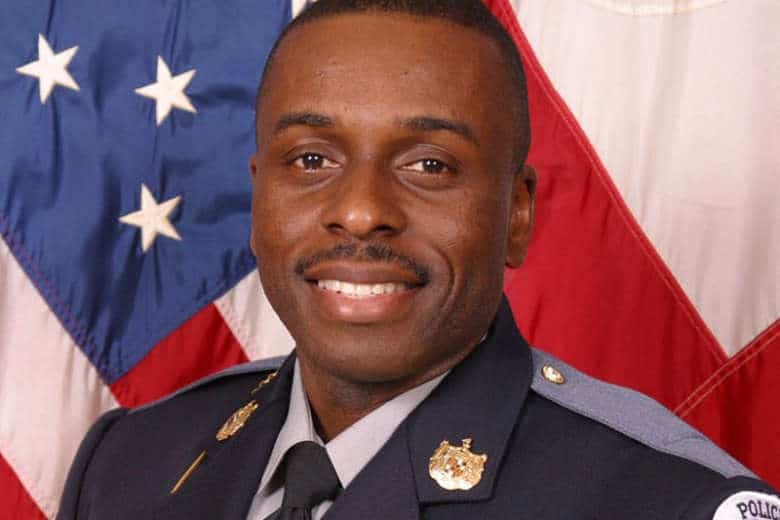 Investigators are still working to put together an exact timeline of what happened that led to the murder of an off-duty police officer in Prince George's County. WASHINGTON — Police are still working to establish an exact timeline of the events that led to an off-duty police officer in Prince George’s County being shot and killed on Wednesday. The suspect, 37-year-old Glenn Tyndell, was also shot and killed by police. In the meantime, Cpl. Mujahid Ramzziddin will be laid to rest on Friday. Following a private, Islamic funeral service inside Diyanet Center of America in Lanham, Maryland, a procession around 2:15 p.m. will make its way to a cemetery in Brentwood, Maryland. It is along that route where the public and fellow first responders will be able to pay their respects to Ramzziddin before his burial. “We have been helped by our partners in the Muslim community to put together a ceremony which respects his faith and tenets of his religion, but that all had to happen in 48 hours,” said Prince George’s County Police Chief Hank Stawinski. In Wednesday’s fatal shooting, police know Ramzziddin was off-duty and responding to a domestic situation near his home on Chadds Ford Drive in Brandywine, Maryland. Tyndell’s estranged wife, who police referred to as the “intended victim,” had lived close to Ramzziddin for about four years and had noticed Ramzziddin would park his marked car next to his home. In a news conference on Wednesday night, Stawinski told reporters Tyndell’s estranged wife had not been living in the area in recent weeks and had filed a protective order against Tyndell. Police said she returned to the area to get some things out of her home. On Tuesday, the day before the shooting, police said Tyndell’s estranged wife had a brief conversation with Ramzziddin. On Wednesday morning, Ramzziddin saw Tyndell’s estranged wife and asked if she was OK. She expressed some concerns about something inside her home and Ramzziddin offered to go inside and “allay those concerns,” Stawinski said. Stawinski said that Ramzziddin had his service weapon and his police radio with him during this time. Ramzziddin came back outside from the home to speak with Tyndell’s estranged wife. At some point, Ramzziddin became aware of the presence of Tyndell and that Tyndell was armed with a shotgun. Ramzziddin was able to announce a signal 13, an officer in need of assistance, over his radio. Immediately after Ramzziddin called for assistance over his radio, there was a confrontation with Tyndell. Stawinski said there was no previous or subsequent call to 911. In the confrontation, which Stawinski said was captured on video from a home security system that he has seen, there is an initial volley of three shots, a pause, and then two more shots. Police said those five shots were the only ones fired in the initial confrontation. Investigators believe that Ramzziddin was fatally wounded in the initial volley of three shots. Tyndell then took Ramzziddin’s service weapon and attempted to flea, leading to a brief police chase through parts of Prince George’s and Charles counties. Tyndell returned to Prince George’s County, which led to a confrontation with police on Maryland Route 210. Stawinski said a number of officers stated that at some point on Md. 210, Tyndell exited his vehicle armed with a handgun. Tyndell was shot and killed during this confrontation. Police eventually discover that Tyndell was evidently using Ramzziddin’s service weapon during the shootout with police on MD-210. “When we recovered that weapon, a number of rounds had been fired from the magazine and those shell casings are being examined,” Stawinski said. On Thursday, Prince George’s County police identified the two officers who pursued Tyndell as Luke Allen, who worked for the department for eight years, and Channing Reed, who worked for the department for six years. Both offices are assigned to the Bureau of Patrol. They are both on routine administrative leave until the investigation is completed.